2 the production: after we receive the deposit from the customers , we will arrange the production . For palm kernel , we can also provide you the palm kernel crusher and roaster . when our customers get our machine , we can also teach the customers the operation procedure through the internet . 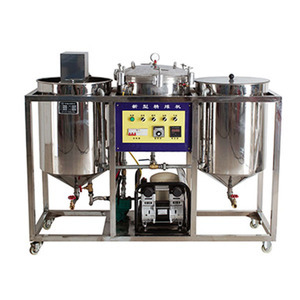 FFB will pass high pressure and high temperature sterilization after entering fermentation tank. 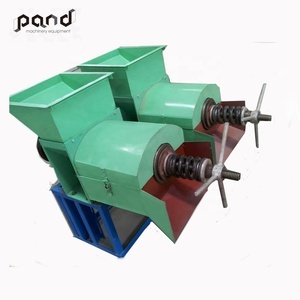 The crushed palm fruit will be leaching out from screw extrusion of palm oil pressing machine. The extrued fiber pie enters air separation system after crushed to get separation of fibers and cores. We will be commitment to provide high quality products with perfect site services and after-sales service. We will provide all kinds of information and records according to the requirements of the bid. The qualified completion files will be provided to customers according to their requirements within one month after acceptance. 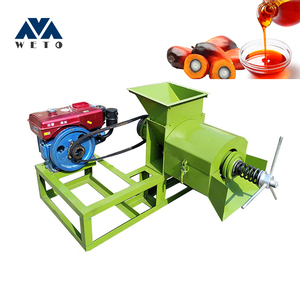 Henan Weto Machinery Co., Ltd.
Nanyang City Qifeng Machinery Co., Ltd.
Castor seed oil Castor oil is a vegetable oil obtained by pressing the seeds of the castor oil plant. Our service network has covered the whole country and exported to Southeast Asia, the Middle East, West Africa, Russia abroad. So the high hardness parts make our series of oil press machines distinguished in high oil yield and least wearing and tearing. The solvent goes to condenser and is recycled to rotary extraction. (4) The oil from 2nd evaporator goes to stripping tower and almost all the solvent is separated. The solvent is sent to condenser and is recycled to rotary extraction. Their experts guide installation on-site and after-sales team provides 24 hours of technical services. Zhengzhou Qi&rsquo;e grain and oil machinery company&rsquo;s equipment have good quality, and shipped on time. Because they are manufacturer, their equipment have good quality assurance and reasonable price. 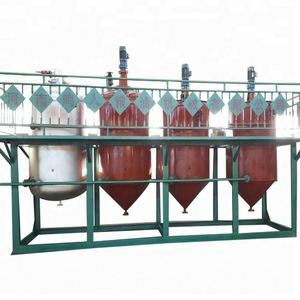 Main crude palm oil refinery machine for sale This 1 ton per day mini oil refinery line contains a series oil refining process. 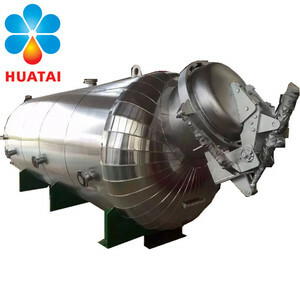 Process of crude crude palm oil refinery machine plant As above mentioned, the main process within crude oil refinery plant are degumming, neutralization, decolorization, deodorization and so on. 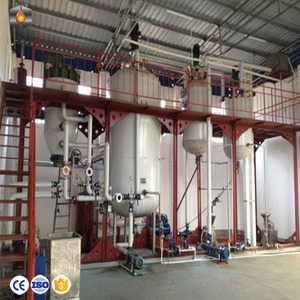 Advantages of our crude palm oil refinery machine Advanced designed oil refinery process GEMCO designs advanced and professional crude crude palm oil refinery machine to obtain high purity refined oil. 6. Kernel recovery station Depericarper (splitter): Through floating dry processing the fruit core and fibers separated. Fiber and other lighter stuff was blown appearance Crushing (Crusher): stone cracked open grain separation kernel and shell. 8.Water Treatment: After settling, filtration, dosing and other processes to ensure that the water quality, but also to ensure oil quality. FFB will pass high pressure and high temperature sterilization after entering fermentation tank. The extrued fiber pie enters air separation system after crushed to get separation of fibers and cores. 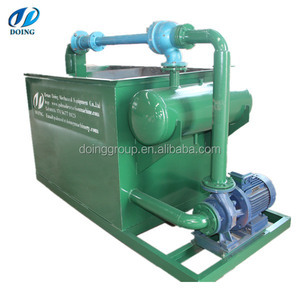 Waste oil will be retreatment and recovery after desanding and centrifugation. Alibaba.com offers 463 cpo machine products. About 55% of these are oil pressers, 1% are filling machines. A wide variety of cpo machine options are available to you, such as free samples. There are 463 cpo machine suppliers, mainly located in Asia. The top supplying countries are China (Mainland), Thailand, and South Korea, which supply 99%, 1%, and 1% of cpo machine respectively. Cpo machine products are most popular in Africa, Southeast Asia, and Domestic Market. You can ensure product safety by selecting from certified suppliers, including 109 with ISO9001, 42 with Other, and 2 with ISO10012 certification.